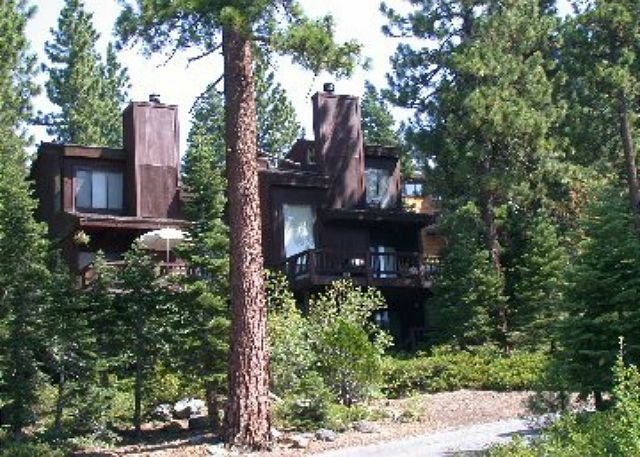 Great Lake Tahoe location, close to the lake, shopping and dining or just a short drive to skiing at Alpine Meadows and Squaw Valley USA. This spacious 3 bedroom, 2 bathroom home has nice furnishings, brand new carpet and bedding and offers plenty of room for family and friends. There is a flat screen TV and DVD in the living room and a TV/VHS combo and computer in the master bedroom. The large deck is great for entertaining or relaxing in the sun. There is WiFi in the unit. 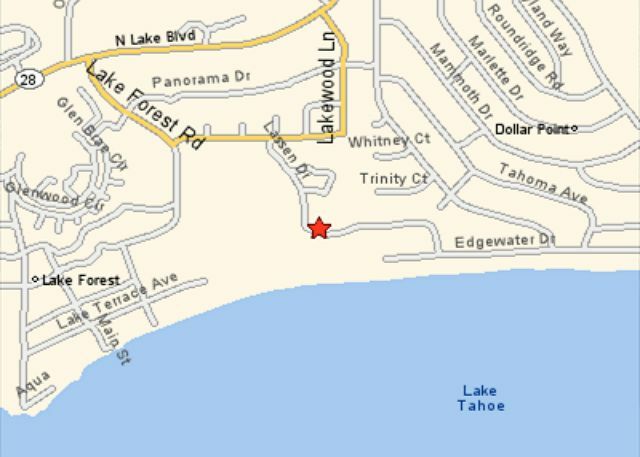 The Northshore condominium complex is surrounded by pine trees and has a beautiful white sand private beach with deep water pier along Tahoe's north shore. 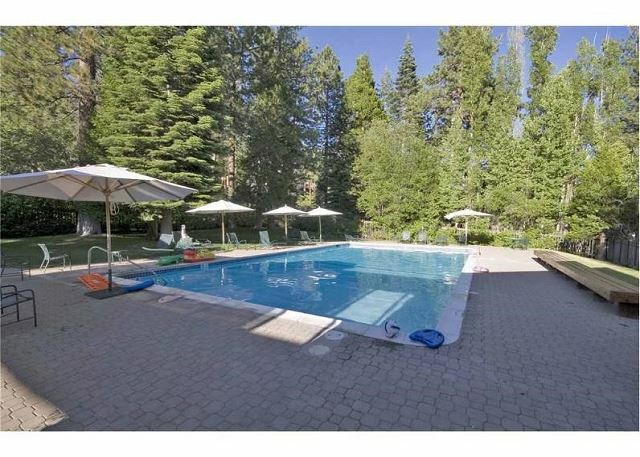 Summer guests have private access to the pool and tennis courts, pickle ball courts and bocce ball courts. There are chairs and umbrellas, first come first serve. 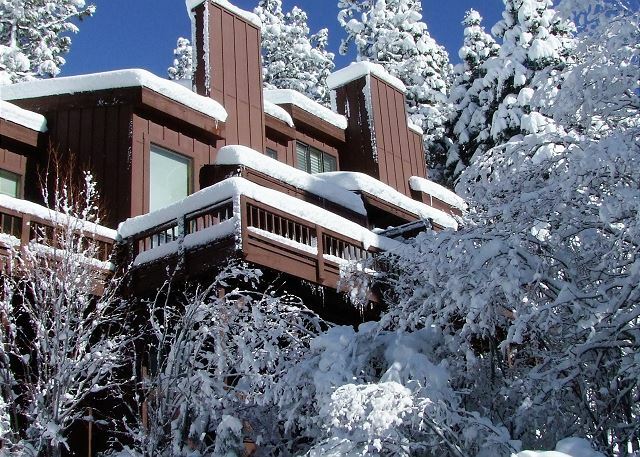 Parking at this complex is by permit only, up to 2 cars .Great Lake Tahoe location, close to the lake, shopping and dining or just a short drive to skiing at Alpine Meadows and Squaw Valley USA. We rented this unit for 3 adults and two toddlers. It was perfect. It is a quick walk or drive to the very nice private beach. There was always a free umbrella and chairs waiting for us. We left some things behind when we checked out and the management was very accommodating to help us get it back. Hope to come back soon. Well stocked condo and roomy. Nice pool area and beach is am easy walk down the hill. Not the best sand on beach but nice to have umbrellas and chairs ready for us. Beach attendants were helpful. Quick trip with 2 teenagers for baseball tournament. The kitchen is a little lacking in utensils, specifically the knives department. Other than that, perfect location, quick easy walk to the lake. It is a 3 story townhouse which was a surprise. WiFi but no password, which was fine for me, drove the teenagers nuts!